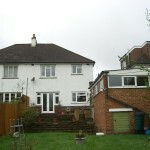 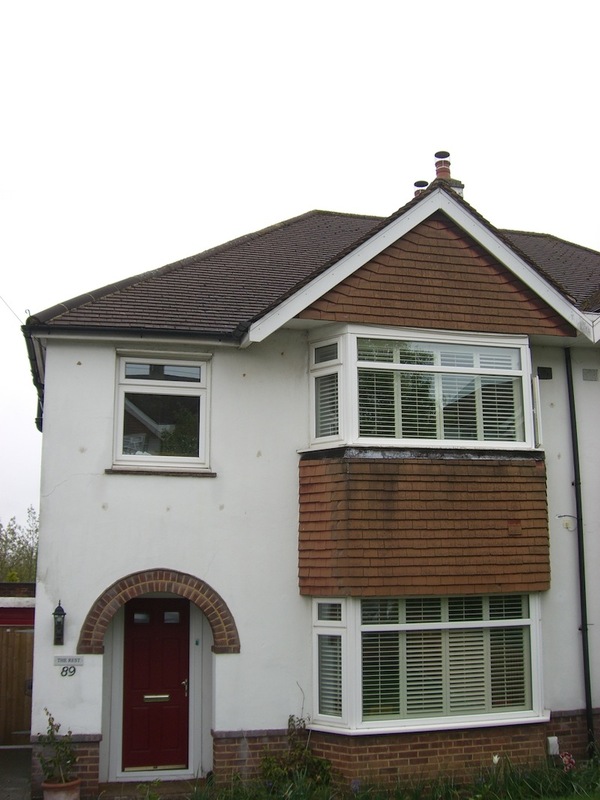 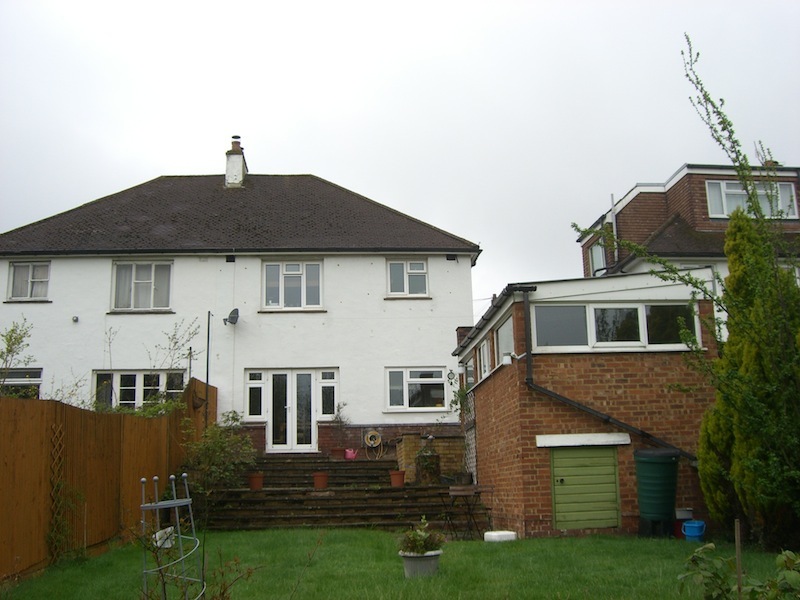 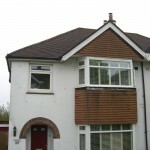 Single storey wrap around rear extension. 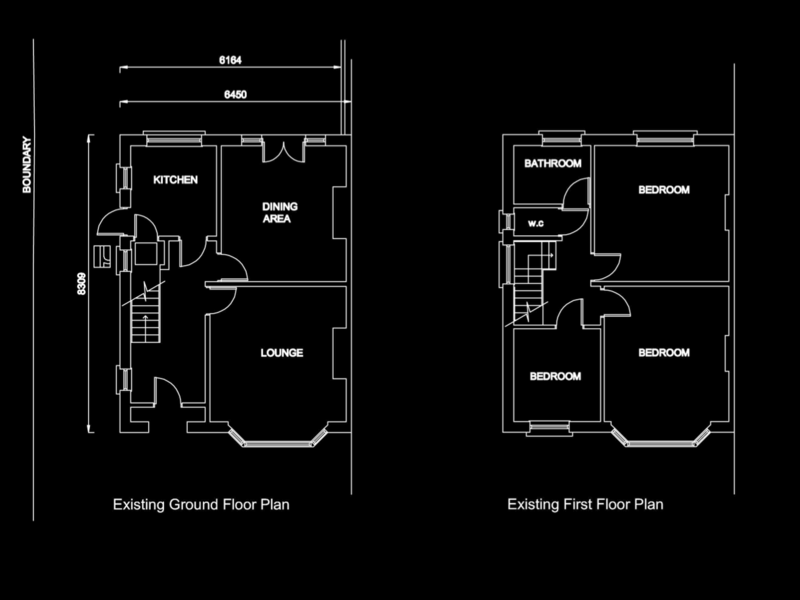 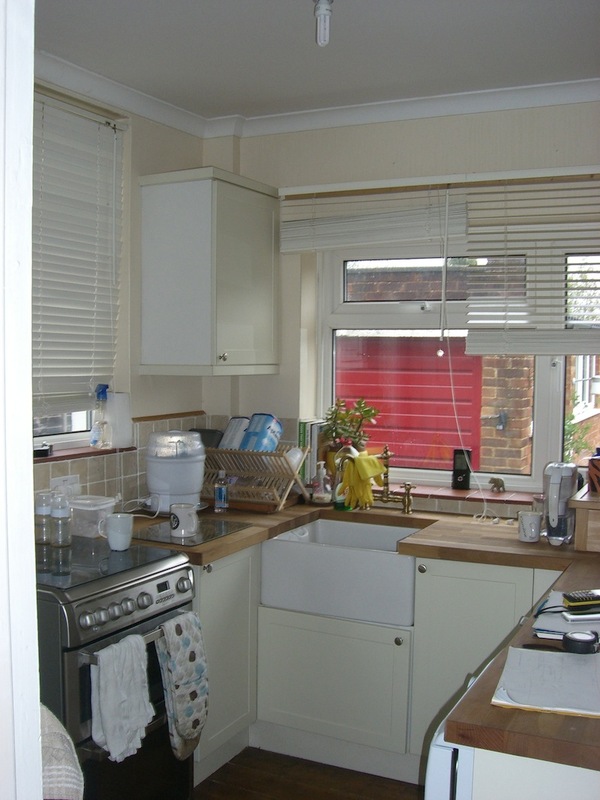 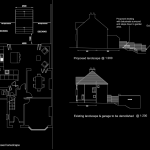 As you can see from the existing footprint, the original kitchen was quite small in relation to the rest of the house. 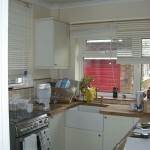 Understandably, the clients wanted a larger kitchen with better views over the back garden. 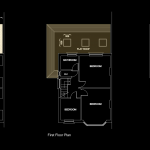 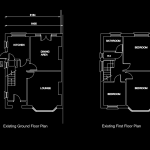 So we designed a single storey wrap around extension which resulted in a large kitchen with an island and snug, as well as a utility space leading to the external space and W.C. It’s amazing how useful that small space under the stairs can be! 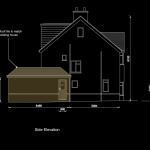 Because the rear landscape was a steep gradient and the clients wanted a new decking area with steps leading down, this also required Planning Permission and we needed to make sure new fencing was erected either side at 1.8m in height for privacy. 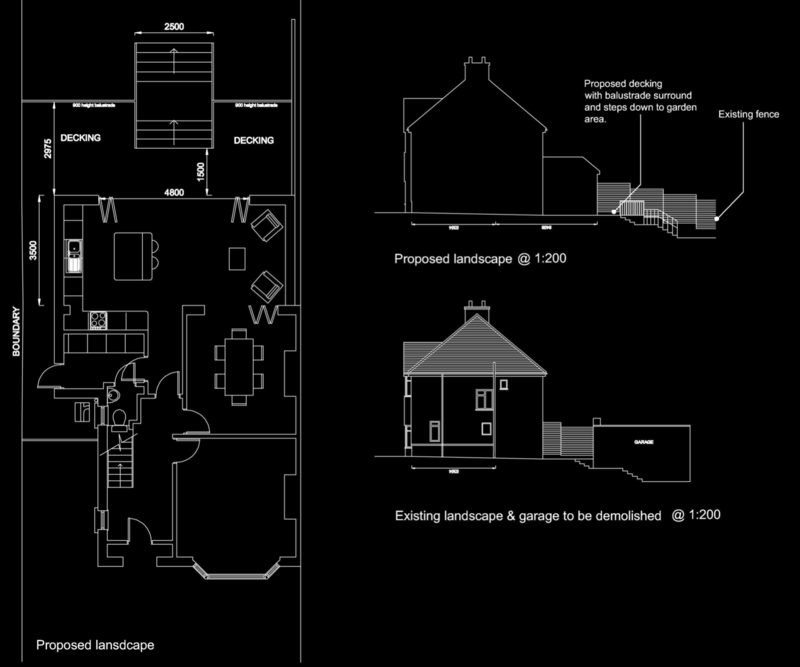 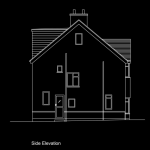 The council required sections and landscape plans to prove this which were provided.